Prominent & Leading Manufacturer from Pune, we offer sinter bronze flame arrestor for welding equipments. Brand Flamingo Filters Pvt. Ltd.
We are dedicatedly engaged in manufacturing, supplying and trading a wide array of Sinter Bronze Flame Arrestor for welding equipments Manufactured using high quality material, these arresters are in tandem with international quality standards. Available in a spectrum of specifications, these arresters are extensively applicable in welding equipments. 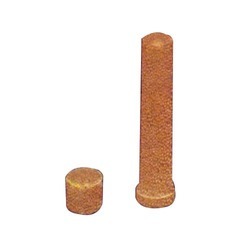 Looking for Sinter Bronze Flame Arrestor ?